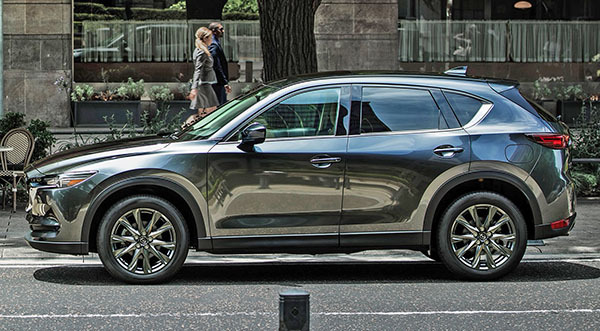 The already loaded Mazda CX-5 Grand Touring starts at $31 445 for 2019. The new Turbo version starts at $34 870 for the even better equipped "Grand Touring reserve" model. The pictures above show the new "Signature" top of the line model. Priced at $36 890. Not cheap. But the non-turbo Grand Touring I had the pleasure to test drive a while ago was already a great car. Much nicer than the competition. The Signature model is actually priced pretty similarly to a Honda CR-V Touring. A loaded Subaru Forester is above $37 000! I would say this super loaded CX-5 Signature could actually compete with the Acura RDX. I will try to get one to drive as soon as possible. I don’t like the black wheel well cladding. Made the crossover look cheap! I currently am driving the new CX-5 after coming from a 2014 Cherokee and new Compass model (it was a lemon) and must say the boys from Hiroshima have done an excellent job. 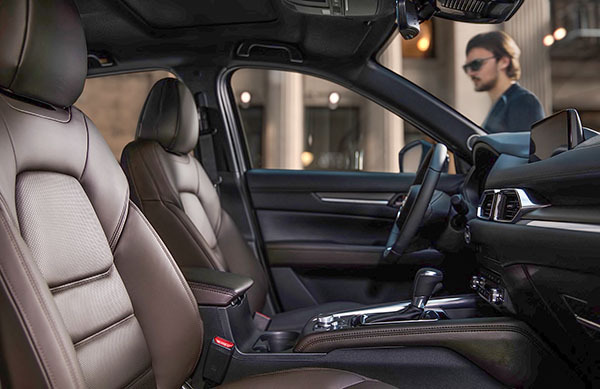 Having seen news of the large motor and brown seats as seen here might make me want to get this model in a few years time. 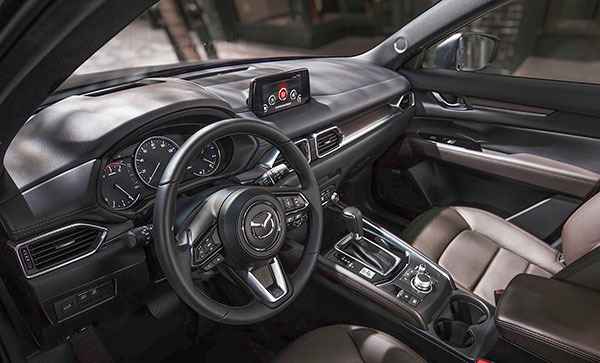 I really do think with these more powerful motors and upgraded interiors, Mazda has decided to move upmarket and become a near-luxury make, somewhat akin to Acura if not quite Lexus or Infiniti. The unveiling of the new Mazda3 will probably reinforce this with its expected significant upgrades. All they really need now is a CX-7 crossover coupe (similar to the CX-4 sold elsewhere) and perhaps eventually a Mazda9 luxury sedan based on the CX-9 platform. I love the new Mazda ...but dealer experience needs improvement to equal that of the quality of the vehicle. Maybe it's just the Oklahoma City locations...I'd hope. Nope, not just Oklahoma City locations, it about the same everywhere!